Not to be confused with Cleveland Elementary School shooting (Stockton). The Grover Cleveland Elementary School shooting took place on January 29, 1979, at a public elementary school in San Diego, California, United States. The principal and a custodian were killed; eight children and a police officer were injured. A 16-year-old girl, Brenda Spencer, who lived in a house across the street from the school, was convicted of the shootings. Tried as an adult, she pleaded guilty to two counts of murder and assault with a deadly weapon, and was given an indefinite sentence. As of April 2019, [update] she remains in prison. Elementary school is a school for students in their first school years, where they get primary education before they enter secondary education. The exact ages vary by country. In the United States, elementary schools usually have 6 grades with pupils aged between 6 and 13 years old, but the age can be up to 10 or 14 years old as well. In Japan, the age of pupils in elementary school ranges from 6 to 12, after which the pupils enter junior high school. Robert Frederick Zenon Geldof, is an Irish singer-songwriter, author, political activist and occasional actor. He rose to prominence as the lead singer of the Irish rock band The Boomtown Rats in the late 1970s and early 1980s, alongside the punk rock movement. The band had Number One hits with his compositions "Rat Trap" and "I Don't Like Mondays". Geldof co-wrote "Do They Know It's Christmas? ", one of the best-selling singles of all time, and starred in Pink Floyd's 1982 film Pink Floyd – The Wall as "Pink". Johnnie Fingers is an Irish keyboardist and co founding member of the new wave band, The Boomtown Rats. He was notable for his attire of striped pyjamas on stage as well as his melodic piano style. 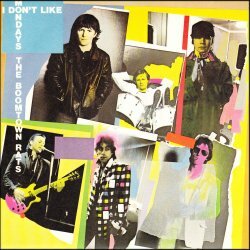 "I Don't Like Mondays" is a song by Irish group The Boomtown Rats about the 1979 Cleveland Elementary School shooting in San Diego. It was released in 1979 as the lead single from their third album, The Fine Art of Surfacing. The song was a number one single in the UK Singles Chart for four weeks during the summer of 1979, and ranks as the sixth biggest hit of the UK in 1979. Written by Bob Geldof and Johnnie Fingers, the piano ballad was the band's second single to reach number one on the UK chart. San Carlos is a neighborhood in the eastern area of San Diego, California. It borders the neighborhoods of Del Cerro, Tierrasanta, and Allied Gardens, the city of La Mesa, and Mission Trails Regional Park. The neighborhood extends to Cowles Mountain at the north. San Diego Unified School District is the school district and a land investment corporation based in San Diego, California, United States. It was founded in 1854. As of 2005 it represents over 200 institutions and has over 15,800 employees. The average teacher in the district makes around $67,000 a year, with a benefit package worth around $24,000 a year. The district includes 113 elementary schools, 24 middle schools, 4 atypical schools, 10 alternative schools, 27 high schools and 25 charter schools. Patrick Henry High School is a public high school in San Diego, California. It is part of the San Diego Unified School District. It is attended by students in grades 9-12 residing in Del Cerro, San Carlos, Allied Gardens, Mission Valley and the College Area. Truancy is any intentional, unjustified, unauthorized, or illegal absence from compulsory education. It is absence caused by students of their own free will, and usually does not refer to legitimate excused absences, such as ones related to medical conditions. Truancy is usually explicitly defined in the school's handbook of policies and procedures. Some children whose parents claim to homeschool have also been found truant in the United States. Other terms for truancy include playing hooky, skiving off, and bunking. Attending school but not going to class is called skipping class, cutting class, or, more formally, internal truancy. Recent estimates in the United States suggest that approximately 11% of adolescents have skipped school during the past month. Suicidal ideation, also known as suicidal thoughts, is thinking about, considering, or planning suicide. The range of suicidal ideation varies from fleeting thoughts, to extensive thoughts, to detailed planning. BB guns are a type of air guns designed to shoot metallic ball projectiles called BBs — metal balls approximately the same size as the 0.180 inches (4.6 mm) "BB" lead birdshot. Modern BB guns usually have a barrel with a bore caliber of 4.5 mm (0.177 in) and are available in many varieties. These guns usually use steel BB shots, either zinc- or copper-plated to resist corrosion, and measuring 4.3 to 4.4 mm in diameter and 0.33 to 0.35 g in weight. Some manufacturers still make the traditional lead balls around 0.48 to 0.50 g in weight and slightly larger in diameter, which are generally intended for use in rifled barrels due to lead having better malleability. The Boomtown Rats are an Irish rock band that had a series of Irish and UK hits between 1977 and 1985. The group is led by vocalist Bob Geldof. The other members of the original line-up were Garry Roberts, Johnnie Fingers (keyboards), Pete Briquette (bass), Gerry Cott and Simon Crowe (drums). The Boomtown Rats broke up in 1986, but reformed in 2013, without Johnnie Fingers or Gerry Cott. California Institution for Women (CIW) is a Women's state prison located in the city of Chino, San Bernardino County, California, east of Los Angeles. 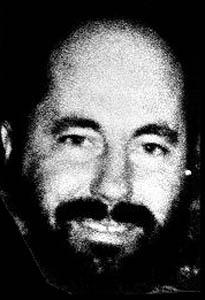 Leonard Thomas Lake, also known as Leonard Hill and a variety of other aliases, was an American serial killer. During the mid-1980s, he and accomplice Charles Ng raped, tortured and murdered an estimated 11 to 25 victims at a remote cabin in Calaveras County, California, in the Sierra Nevada foothills 150 miles east of San Francisco. 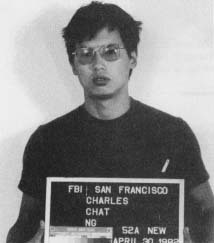 Charles Ng Chi-Tat is a serial killer who committed numerous crimes in the United States. He is believed to have raped, tortured and murdered between 11 and 25 victims with his accomplice Leonard Lake at Lake's cabin in Calaveras County, California, in the Sierra Nevada foothills, 60 miles from Sacramento. A Tonic for the Troops is the second album by The Boomtown Rats. It was released in 1978 and included the hit singles "She's So Modern", "Like Clockwork" and "Rat Trap". The album peaked at No. 8 in the UK Albums Chart in 1978. The Fine Art of Surfacing was The Boomtown Rats' third album and contained the hit-single releases, "I Don't Like Mondays", "Diamond Smiles" and "Someone's Looking at You". The album peaked at No. 7 in the UK Albums Chart in 1979. 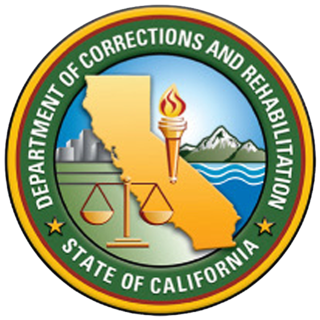 The California Department of Corrections and Rehabilitation (CDCR) is responsible for the operation of the California state prison and parole systems. Its headquarters are in Sacramento. The Boomtown Rats' Greatest Hits is a compilation album of The Boomtown Rats' singles on Columbia Records from 1979 to 1985. Valley State Prison (VSP), previously the Valley State Prison for Women (VSPW), is a state prison in Chowchilla, California. It is across the road from Central California Women's Facility. It used to be a prison for women. Charles Andrew "Andy" Williams is a convicted murderer who, as a 15-year-old, perpetrated the shooting at Santana High School on March 5, 2001. In the shooting, two students were killed and 13 others were wounded. Williams is currently serving life in prison with the possibility of parole after 50 years. Loudmouth – The Best of Bob Geldof and the Boomtown Rats is a 1994 greatest hits compilation album from Bob Geldof and the Boomtown Rats, consisting mostly of Boomtown Rats material but also some of Geldof's solo work. It peaked at No. 10 in the UK Albums Chart in July 1994. Michael Hughes is an American serial killer convicted and sentenced to life without parole for the murders of four women and girls in California, and later, in another trial, sentenced to death for the murders of three other women. Ratrospective is a 1983 EP by The Boomtown Rats. It was designed as a compilation of the singles that had been released to the US market and was released on the Columbia Records label. The murder of Marcy Renee Conrad was perpetrated by Anthony Jacques Broussard, a 16-year-old high school student. Conrad's death gained national attention due to the age of her killer, forcing a re-evaluation of California statutes regarding juvenile sentencing for violent crimes. The case triggered widespread media coverage, as a stark example of social disaffection among suburban youth. "Diamond Smiles" was the second single from The Boomtown Rats' album The Fine Art of Surfacing. It was the follow-up to their successful single "I Don't Like Mondays" and also peaked at Number 13 in the UK Charts. The band has suggested that it might have fared better had it not been for a strike of lighting technicians on the powerful UK TV programme Top of The Pops at the time that the record was released and rising in the charts. "She's So Modern" is a song by The Boomtown Rats. It was the first single taken from the band's second album A Tonic for the Troops, whose title comes from a line in this song: "Charlie ain't no Nazi, she just likes to wear her leather boots, 'cos it's exciting for the veterans and it's a tonic for the troops". The single continued the Rats' high-energy post-punk/new wave sound that had typified earlier releases, but its fame would later be eclipsed by that of the band's more ballad-like global hit "I Don't Like Mondays". It has been described as "harmlessly smirking bubblegum a la The Knack". 1 2 3 "School Sniper Suspect Bragged Of 'Something Big To Get On TV'". Evening Independent . Associated Press. 30 January 1979. 1 2 Jones, Tamara (November 1, 1998). "Look back in sorrow: in 1979, a teenage girl opened fire on a suburban San Diego elementary school; today, as the nation reels from a rash of similar tragedies, the survivors still struggle to understand why it happened". Good Housekeeping. Archived from the original on May 16, 2011. 1 2 Steve Clarke (18–31 October 1979). The Fastest Lip on Vinyl. Smash Hits . EMAP National Publications Ltd. pp. 6–7. ↑ Paul Jacobs; Nancy Skelton (30 January 1979). "Girl Sniper Kills 2, Wounds 9 at San Diego School". Los Angeles Times . 1 2 3 4 5 6 7 8 "Sniping suspect had a grim goal". The Milwaukee Journal . 29 January 1979. p. 4. ↑ Laura Finley (2011). Encyclopedia of School Crime and Violence (1st ed.). ABC-CLIO. p. 454. ISBN 978-0-313-36239-2. 1 2 3 4 5 6 Böckler et al. 2013, p. 257. ↑ Böckler et al. 2013, pp. 251-253. ↑ "Classmates Say Alleged Sniper Seemed Lonely, Friendless Girl". Washington Post. 31 January 1979. Retrieved 3 November 2017. ↑ "Brenda Spencer". The Fliegen. 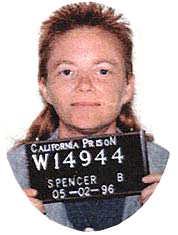 1 2 "School Shooter Brenda Spencer Denied Parole". KFMB-TV . 14 August 2009. ↑ Böckler et al. 2013, p. 250; Böckler et al. 2013, p. 257. ↑ "School rifle attack nets 25 years to life". Edmonton Journal. April 5, 1980. Retrieved June 25, 2018. 1 2 3 Jay Allen Sanford (10 March 2005). "Brenda Spencer was 16". San Diego Reader . 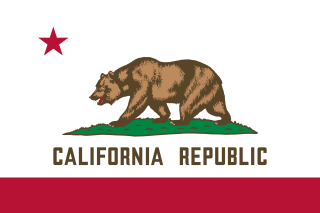 ↑ "In California, Victims' Families Fight for the Dead". The New York Times . 19 August 2011. ↑ Böckler et al. 2013, p. 248. ↑ "Parole denied in school shooting". usatoday30.usatoday.com. USA TODAY. Associated Press. 19 June 2007. Retrieved 26 December 2016. 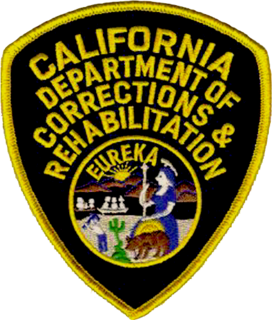 ↑ (CDCR), California Department of Corrections and Rehabilitation. "State of California Inmate Locator". inmatelocator.cdcr.ca.gov. Retrieved 2018-10-12. CDCR no. W14944. ↑ "The Boomtown Rats Known Tour Dates". Boomtown Rats Website. ↑ "I Don't Like Mondays (TV 2006)". IMDb. ↑ Swain, Liz (March 26, 2015). "She didn't like Mondays, they don't want plaque moved". San Diego Reader. Retrieved 2 November 2017. ↑ "Tragic past, uncertain present, bright future of Cleveland Elementary". Mission Times Courier . 18 December 2015. ↑ "Home page". Magnolia Science Academy. Retrieved August 26, 2016. ↑ Michael Granberry (19 January 1989). "Victims of San Diego School Shooting Are Forced to Cope Again 10 Years Later". Los Angeles Times . ↑ "I Don't Like Mondays". Official Charts Company . 21 July 1979. ↑ Bob Geldof reveals the truth of "I Don't Like Mondays"!. Event occurs at 2:08. Retrieved 7 November 2017. ↑ Linedecker, Clifford L. (December 15, 1999). Babyface Killers: Horrifying True Stories of America's Youngest Murderers. New York, N.Y.: St. Martin's Paperbacks. ISBN 9780312970321. ↑ Jonathan Fast (4 September 2008). Ceremonial Violence: A Psychological Explanation of School Shootings. The Overlook Press. ISBN 9781590200476. ↑ "Watch Deadly Compulsion Full Episode - Killer Kids | Lifetime". Lifetime. A&E Television Networks. September 3, 2014. Retrieved 2 November 2017. ↑ "Killer Kids: Deadly Compulsion". TV.com. CBS Interactive. September 3, 2014. Retrieved 2 November 2017. ↑ "Killer Kids - Season 3 Episode 19 Deadly Compulsion". Dailymotion. Dailymotion. 24 November 2015. Retrieved 2 November 2017. ↑ "Thrill Killers | Deadly Women". www.investigationdiscovery.com. Discovery Communications, LLC. October 8, 2008. Retrieved 2 November 2017. ↑ "Deadly Women | Season 2 Episode 1 Thrill Kills". Dailymotion. Retrieved 2 November 2017. ↑ "Deadly Women - Season 2 Episodes List". next-episode.net. October 9, 2008. Retrieved 2 November 2017. Böckler, Nils; Seeger, Thorsten; Sitzer, Peter; Heitmeyer, Wilhelm (2013). School Shootings: International Research, Case Studies, and Concepts for Prevention (1st ed.). Springer Science+Business Media. ISBN 978-1-461-45526-4.